Square Enix Montreal’s Puzzler Wins App Store’s Highest Honor. Lara Croft GO™, Square Enix Montreal’s critically acclaimed successor to Hitman GO®, has been named Game of the Year by the App Store for 2015. The annual award highlights the best games on the App Store. App Store’s prestigious award is the latest in a lengthy list of accolades for Lara Croft GO. Other recent wins include being named 2015 Mobile Game of the Year by both The Game Awards and Canadian Videogames Awards. Square Enix Montreal recently released a free expansion titled “The Shard of Life” that includes new puzzles, monsters and collectibles. 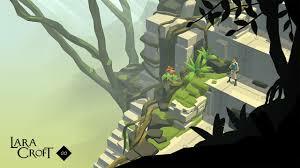 Lara Croft GO is available now as a premium download on the App Store.